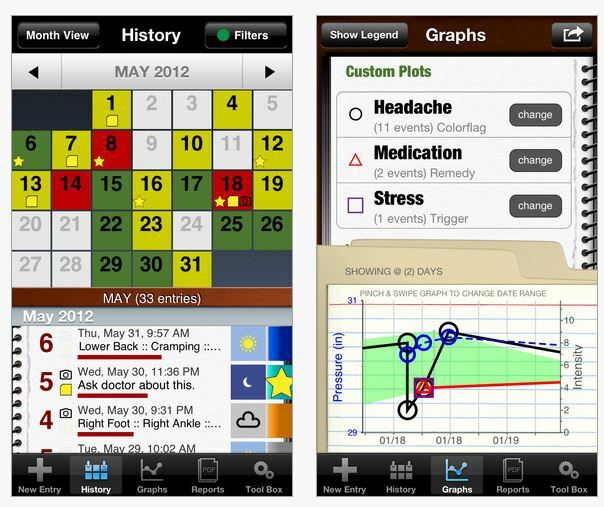 My Pain Diary: Chronic Pain Management app for iPhone and iPad (4.99) is a highly rated app for tracking pain for patients. A review entitled “Chronic Pain Management App is Filled with Great Features”, by Lynn Mueller, PT in Advance for Physical Therapy, the app was found to be easy to use, organized and provided data collection to help therapists recommend interventions for the user or patient. The app has many useful features including tracking and rating pain daily using a visual pain scale with a rating from 0-10. Customization within the app allows it to be uniquely geared to an individuals needs. Outcome graphs can be created to show and share visually graphed pain as well as email options. Limitations of the app were cited by the developer as lack of annotation of factors such as diet, sleep, menstruation or medication not currently available. My Pain Diary app was found to be a helpful app for self monitoring pain, track pain occurences over time and collect data for review and treatment recommendations by a therapist. 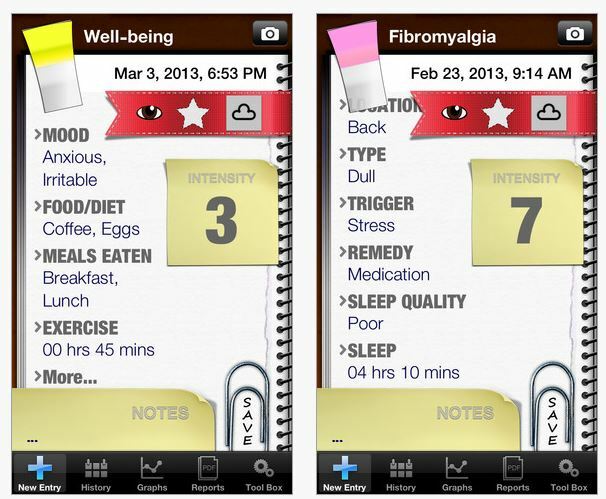 This app appears to be an inexpensive therapeutic tool to support determining treatment options for your patients. For more information visit the My Pain Diary website: http://www.chronicpainapp.com/ . This entry was posted in App Reviews, Apps for OT's, Customizable app, iPad, iPhone, Medical, Mobility Impairment, Occupational Therapy, Physical Disability Tool, Rehabilitation and tagged App Review, iPad, iPhone, iPod, Medical, occupational therapy, OT Apps, Rehabilitation. Bookmark the permalink.